Of the Gods at the Year's end. I'll see the cherry blossoms. "Cave of the Reed Mouth-Organ"
from September of 1673 to March 1674. 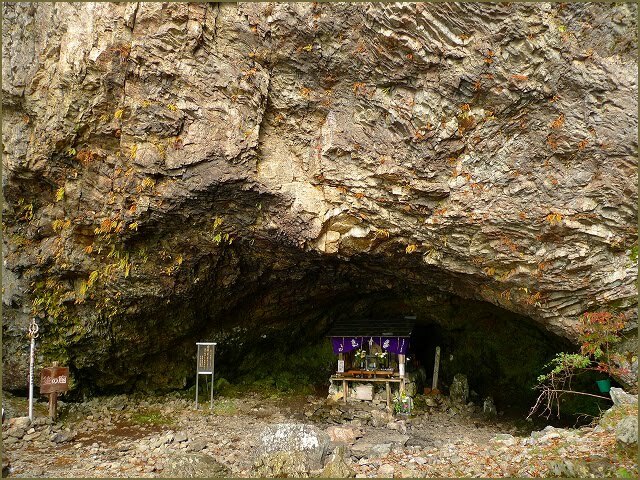 This cave is seen as the entrance to the paradise of Miroku Bosatsu.
. Mt. 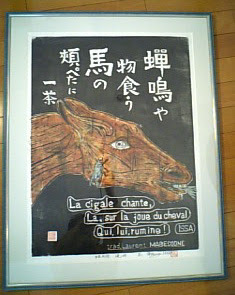 Omine (Oomine 大嶺山） .